Multiple disciplines: Is fear holding you back? That is a hard sentence for many people to say. And without the ability to consider saying it…continue learning will be difficult. Adults face a larger challenge. They often have held a belief for a period of time. Depending on how long…and how avidly…they have defended this idea, it may be challenging for them to accept another, opposing or seemingly opposing…idea. 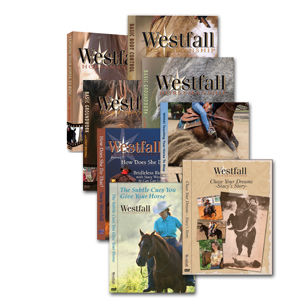 It is my goal to be a life long learner…especially where it involves horses. This is why I can be found in colt starting competitions, reining, trail riding, mounted shooting, driving minis…and the list goes on. Is it difficult? Not really. We can choose to look at how different two industries are, lets say reining and dressage, or we can choose to look for where they are similar. Will there be places where the two sports have different goals? YES! Does this mean that one is evil and the other is good? NO! Even inside of one discipline you will often find great divides in the training methods, philosophies and techniques. That means that if I already know there are people inside of ‘my own industry’ that I disagree with…should it surprise me that there will be those same people in any new discipline? I am the mother of three children. There are volumes of writing on parenting styles, methods of discipline and ways of raising children that have been debated for hundreds of years…with no end in sight. I can accept, and even embrace, the idea that there will be tension. Most of the time the new ideas fit comfortably as layers that fit with what I already know. Will I find something out there that will make me say, “I was wrong.” Maybe. It has happened in the past…so it could happen in the future. Is it worth it to continue to learn? For me the answer is an easy yes. 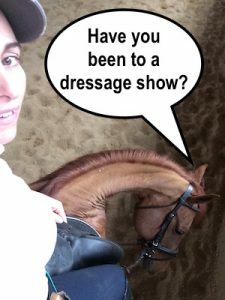 ← A reiner at a dressage show. I absolutely agree with you I want to learn everything there is to learn about it all. The more I can learn the more grateful I am.